We Connect You To Your Community. 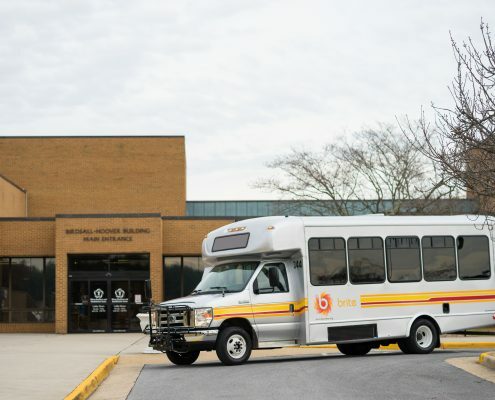 BRITE provides bus service throughout Waynesboro, Staunton, and Augusta County. Our comprehensive transit system provides a reliable option for you to get to work, shopping, appointments, and community services easily and affordably. Plan your trip to learn more. BRITE Bus Route Network – BRITE Bus offers fixed route and ADA Compliant Paratransit transportation. Routes include: 250 Connector, Stuarts Draft Link, BRCC Shuttles, Waynesboro Circulator, and Staunton North & West Loops and Downtown and Saturday Night Trolley. East & West 250 Connector – This route provides service between the cities of Staunton and Waynesboro on the Rt. 250 corridor. Stops include Augusta Health and the Wilson Workforce and Rehabilitation Center Campus. This route connects to the Staunton trolleys, the Waynesboro Circulator, the Stuarts Draft Link and the Blue Ridge Community College Shuttle. Stuarts Draft Link – This route provides service within Stuarts Draft with access to retail, employment centers, residential areas, and community services. 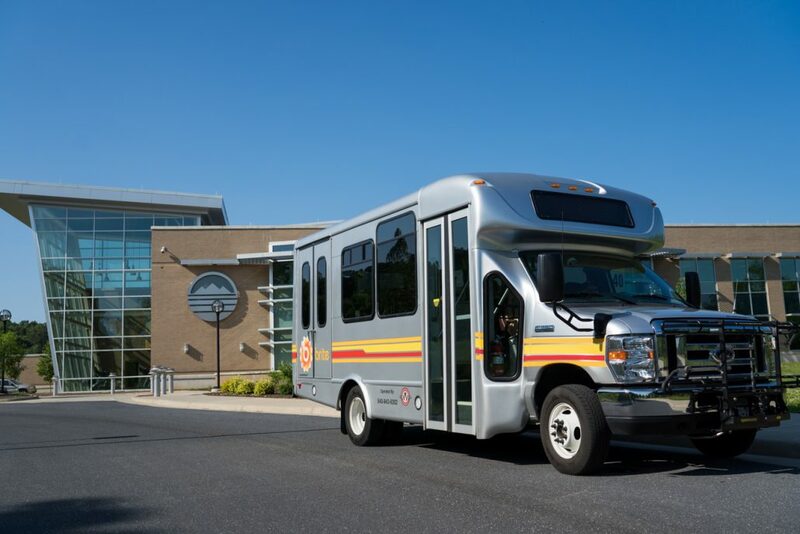 It connects with the Waynesboro Circulator and 250 Connector, and travels to the Augusta Health campus in Fishersville. 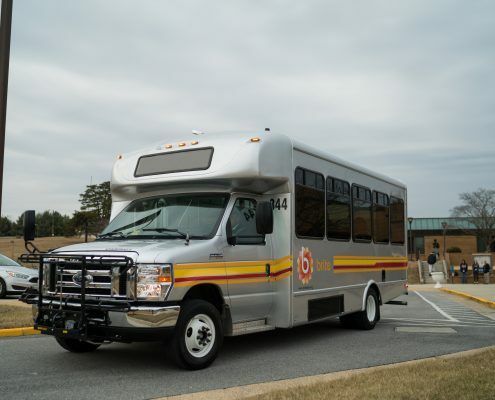 Blue Ridge Community College Shuttle – the Blue Ridge Community College (BRCC) Shuttle offers two routes. 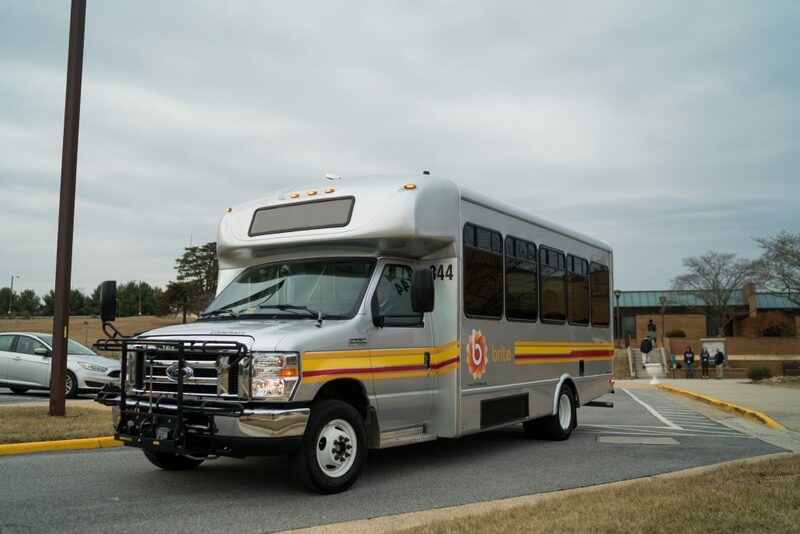 The BRCC South Shuttle provides service between Staunton and the BRCC Campus in Weyers Cave to serve the communities of: Verona, Fort Defiance, and Mt. Sidney. 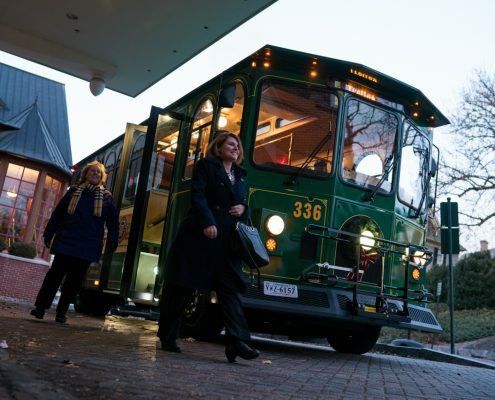 Through the Staunton Hub, it connects to the 250 Connector, both Staunton North and West Loops and the Staunton and Downtown Trolley. 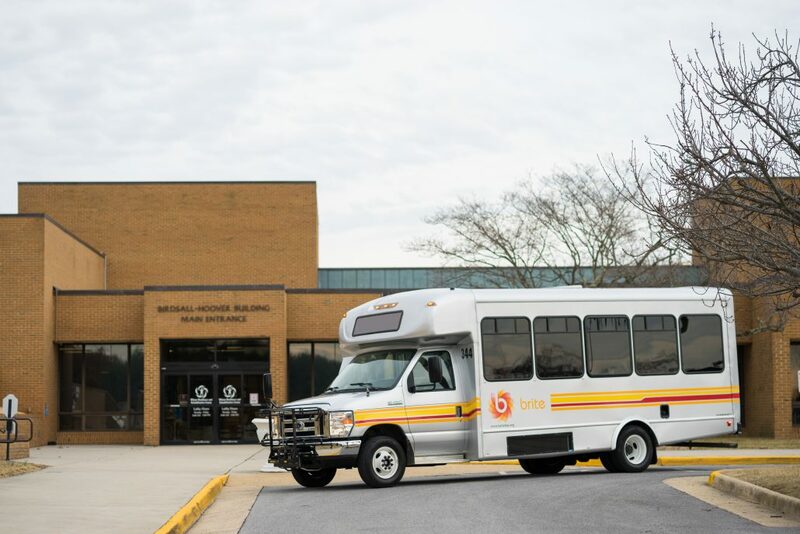 A BRCC North Shuttle provides service from Harrisonburg to the BRCC campus to serve the communities of: Bridgewater, Dayton and Mt. Crawford. 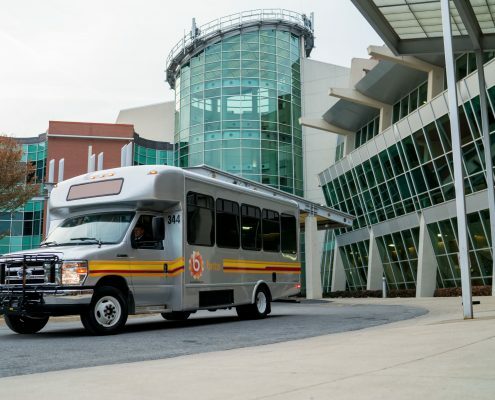 The BRCC North Shuttle allows connections to Harrisonburg Department of Public Transportation (HDPT) at JMU, and connects to the BRCC Shuttle South. 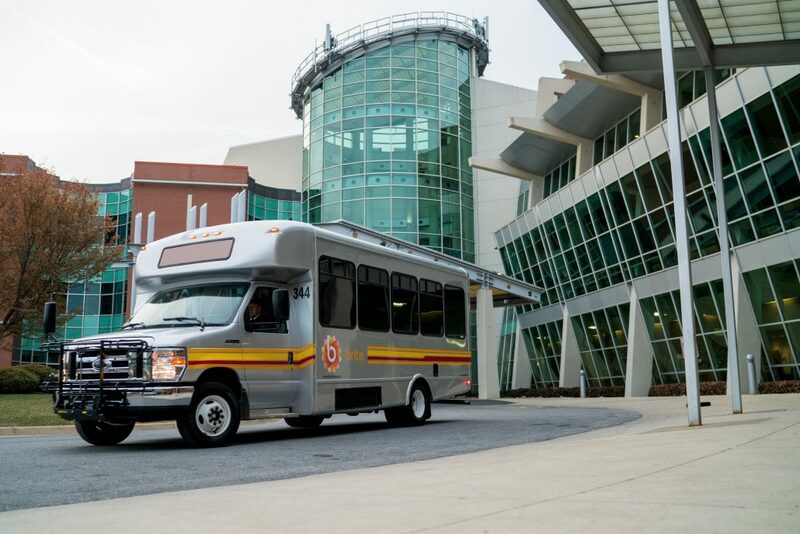 Waynesboro Circulator – Travels within the city limits of Waynesboro, providing access to employment centers, retail, community services, and medical facilities. 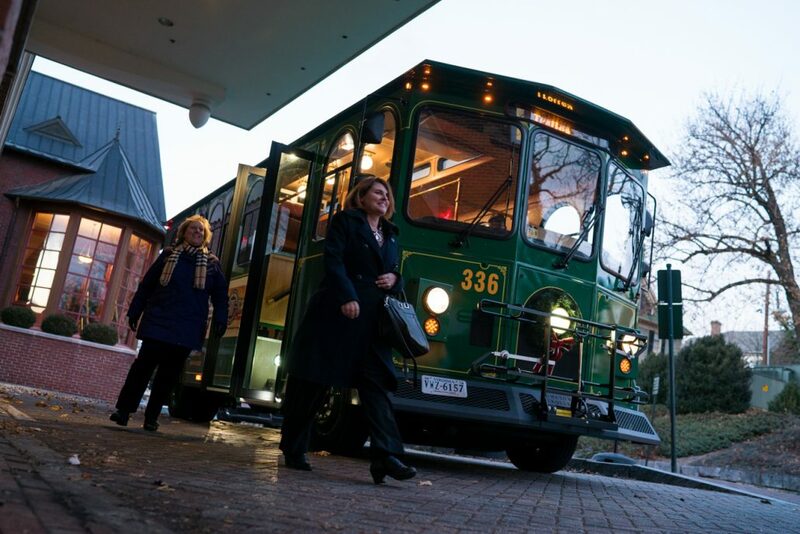 Staunton North & West Loops and Downtown Trolley and Saturday Night Trolley – The Downtown Trolley serves historic downtown Staunton destinations. The North and West Loops serve outlying neighborhoods and medical and retail destinations and community services. 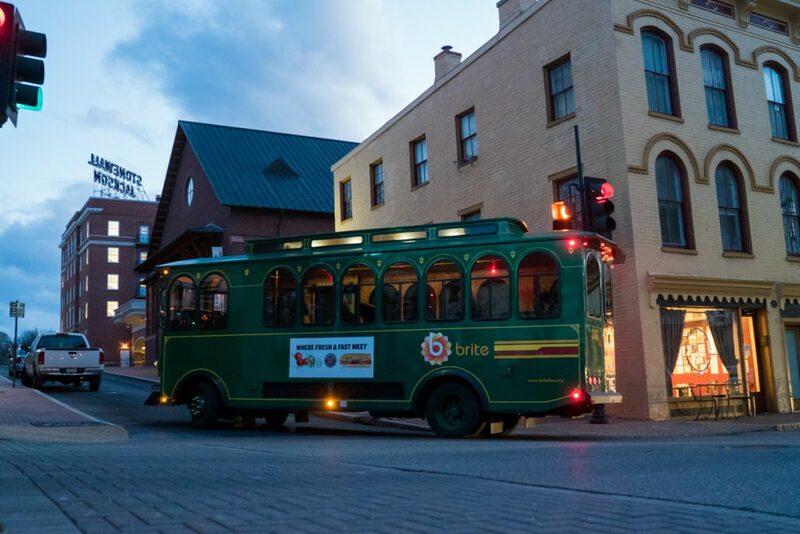 The Saturday Night Trolley operates Saturday evenings providing connections to retail and entertainment destinations. Consistent Schedules Make BRITE A Better Way To Live. Live in Staunton, but work in Waynesboro? We’ve got you covered. Work in Staunton, but have an appointment at Augusta Health? We’ve got you covered. When you ride with BRITE you can depend on reliable service to get you to your appointments, shopping, and work on time. Each member of our highly trained team strives to stay on schedule throughout the day and our frequent routes ensure you have options when you travel. 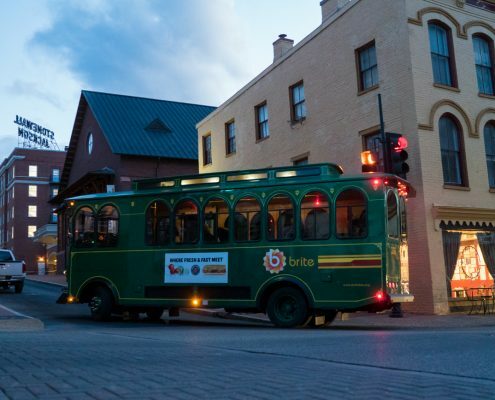 BRITE Provides Safe Transportation At Affordable Fares. We are your safe option to travel the Shenandoah Valley region and our fares are affordable. Simply follow your driver’s guidance and you’ll get to your destination safely and at a reasonable price. We Honor Title VI Non-Discrimination Policy & ADA Guidelines. We provide rules and guidelines to ensure your safety and comply with the policies of Title VI and ADA. We meet regulated guidelines so all of our passengers are treated fairly and with the respect and dignity they deserve. Contact us to learn more about our service areas. Contact Us For Bus Information On Our Service Areas.